1 Preheat oven to 400°. Sprinkle salmon with adobo seasoning, then arrange on baking sheet. 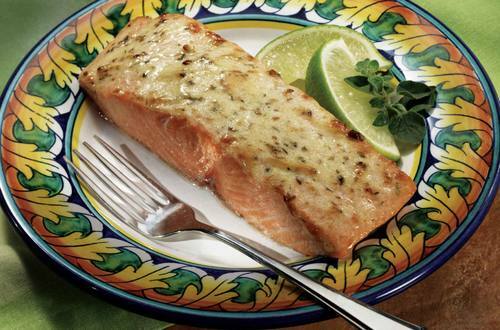 2 Combine Hellmann's® or Best Foods® Mayonnaise with Lime Juice, oregano and cumin in small bowl, then brush on salmon. Bake salmon 10 minutes or until fish flakes easily with fork.